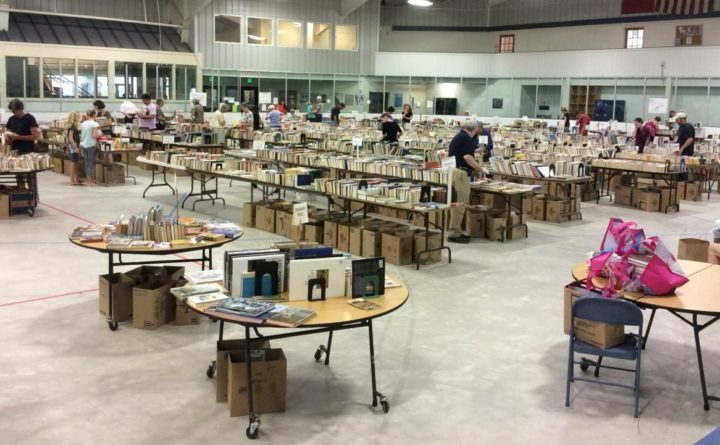 ROCKPORT — The Friends of Rockport Public Library will hold their giant annual book sale Thursday-Sunday, July 12-15, at Midcoast Recreation Center, 535 West St. on Route 90. Thousands of books will be for sale, including fiction, non-fiction, gardening, cooking, history, nautical, children’s, a large collection of mystery books, wonderful children’s books, and a fabulous collection of art books. Also, DVDs, CDs, books on tape, puzzles and more. Friends preview sale, 5-7 p.m. July 12; public sales 8 a.m.-3 p.m. July 13, 8 a.m.-noon, then box sale 1-3 p.m. July 14; free books 8-11 a.m. July 15. All of the funds raised will be donated directly to the Rockport Public Library. The funds are used to purchase new library materials, for children and adult programs and supplies, multimedia resources, as well as technology and equipment for the library. Become a Friend and get access to the Friends Membership book preview sale. Annual memberships are $15 for individuals; $20 for families; $50 for patrons and $50 for business members.